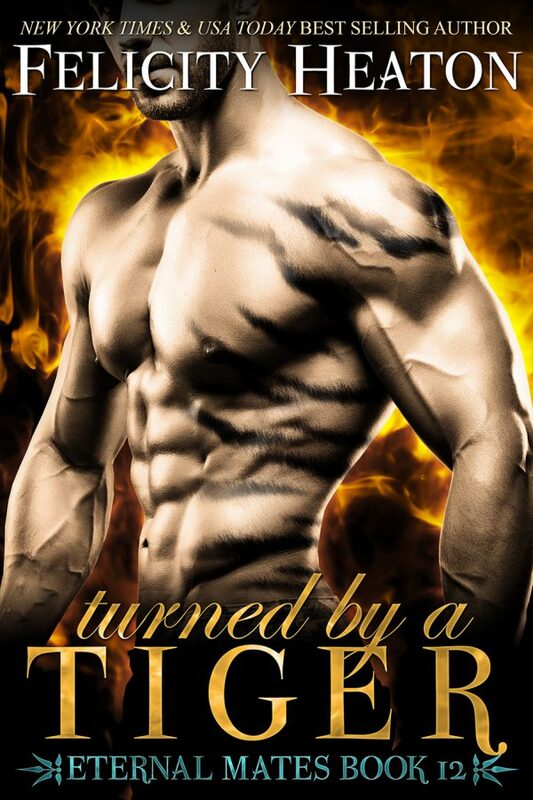 I always know I'm in for a fun story when I pick up one of Felicity Heaton's books so I went into Turned by a Tiger with high expectations and she didn't let me down. Talon was captured by Archangel and has been being held prisoner for months while they performed experiments on him, he managed to escape but was badly wounded and now he's in desperate need of somewhere to recuperate before he goes back and tries to save his fellow prisoners. Stumbling into Underworld looking for safety he's shocked to discover his fated mate waiting there for him, even more so when he realises she is a normal human woman not a fellow shifter. Sherry loves her job at Underworld and has learned to hold her own amongst its immortal clientele but there is something about Talon that calls out to her in a visceral way. When Kyter refuses to offer him sanctuary Sherry offers to let him stay with her until he has recovered but once she has him in her home she quickly realises that she doesn't want to let him leave. When Sherry and her friends realise what Archangel have been up to they agree to help Talon with his rescue mission but will Sherry be left with a broken heart at the end of it all or can she find happiness as human with an immortal shifter who will outlive her by centuries. I have to admit I was a little put off by the massive case of insta-love between Talon and Sherry, I've got nothing against instant attraction but things go way beyond that between them within 24 hours and that's not my favourite trope. I was able to forgive that because I did really like both characters though, the banter between them was amusing and they had great chemistry but I also liked the way they worked together to help rescue his friends. Sherry had a role of her own to play in the rescue mission and Talon wouldn't have been able to do it without the help of her and several of the other characters we've come to love throughout this series. The rushed beginning of their relationship allowed us to dive right back into the action and we did get some slow and sweet scenes with them as a couple at the end that satisfied my need for a little romance. It was great to catch up with some of the previous characters and I definitely enjoyed meeting Talon's family so I'm really pleased that his sister's story is up next (I'm really hoping his brother's will follow soon afterwards!). I'm definitely interested to see what Archangel is up to, it looks like things have taken a sinister turn within the organisation so there is definitely more to be revealed there. Each story in this series works as a standalone featuring a different couple but now that the plot is getting more interconnected I'd recommend reading the series in order to make the most out of it. It's a series that's going from strength to strength though and I'm looking forward to continuing it!